Johannesburg, South Africa is a hub of commerce, glitz and fast-paced living, but what do people living in this land-locked province come home to? 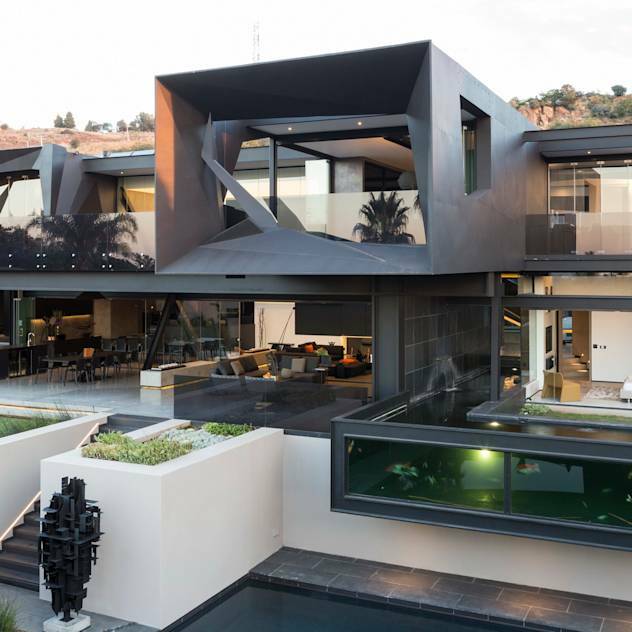 In this homify feature, we visit 10 fantastic homes in Johannesburg that are simple, spacious and just extraordinary. The suburbs of this city range from wealthy and elite to simple living spaces with panoramic views. Let’s get inspired by these lovely modern homes and the architects that have planned them so perfectly. A fantastic modern home such as this would be a pleasure to come home to. The neutral colour exterior, along with the wooden detail is classic and elegant, while the lighting is chic and inviting. This structure definitely has aesthetic appeal for those minimalist home admirers. 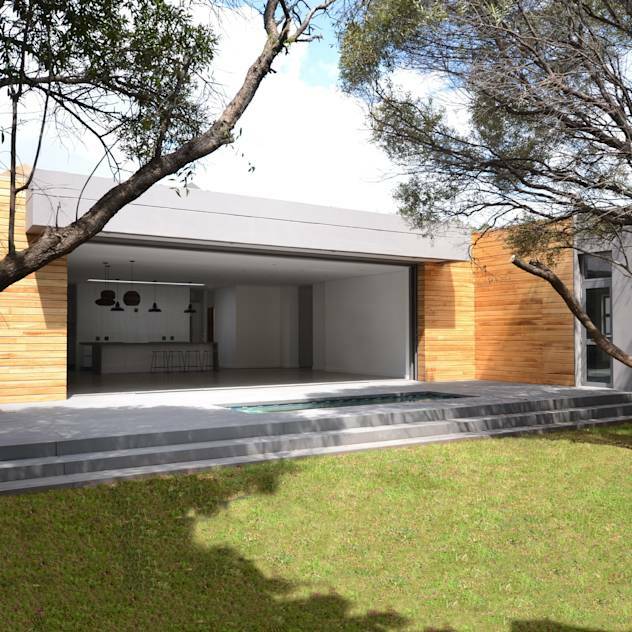 The Kloof Road house is attractive, sophisticated and an eye-catching sight from all perspectives. The darker colour exterior is fascinating, while each corner of this spacious home is interesting. 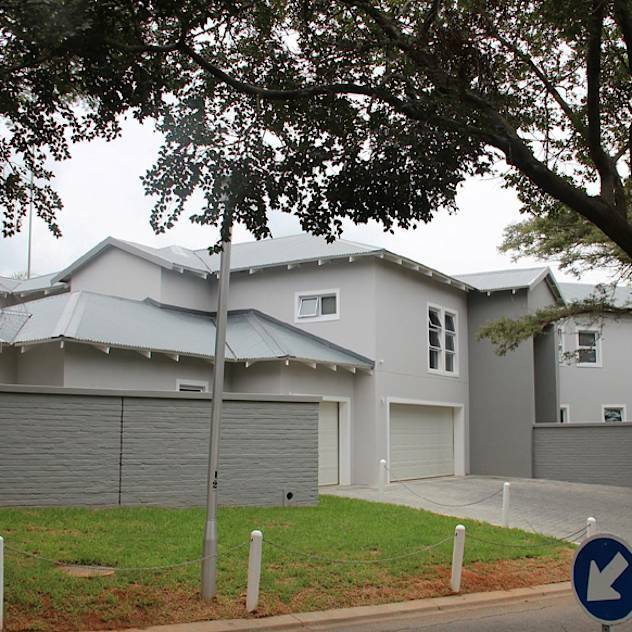 This home in Bedfordview has sunshine and the night’s sky in mind. The sensational windows on the upper level of the structure prove that this home would be a cosy space at any time of day. 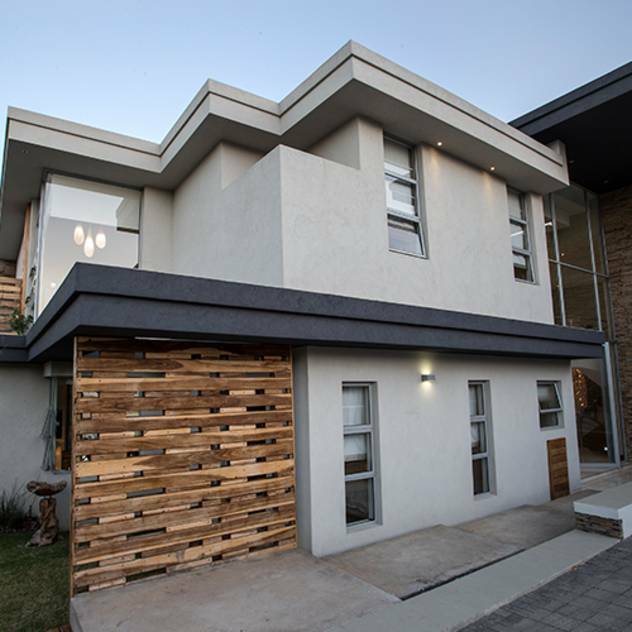 While many of the main features of this Johannesburg home are hidden, the neutral colour decor and textured external wall creates a fantastic effect of modernity. 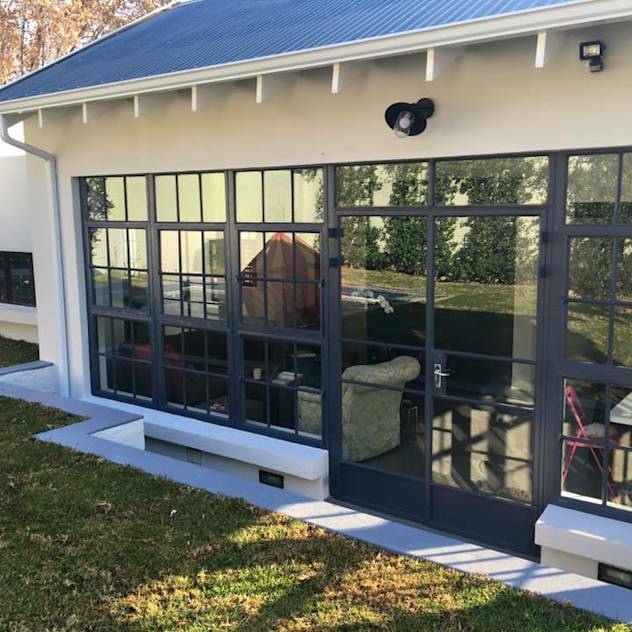 Prefabricated homes are becoming increasingly popular in South Africa, with many prospective homeowners opting for this cost effective, eco-friendly and stylish option. 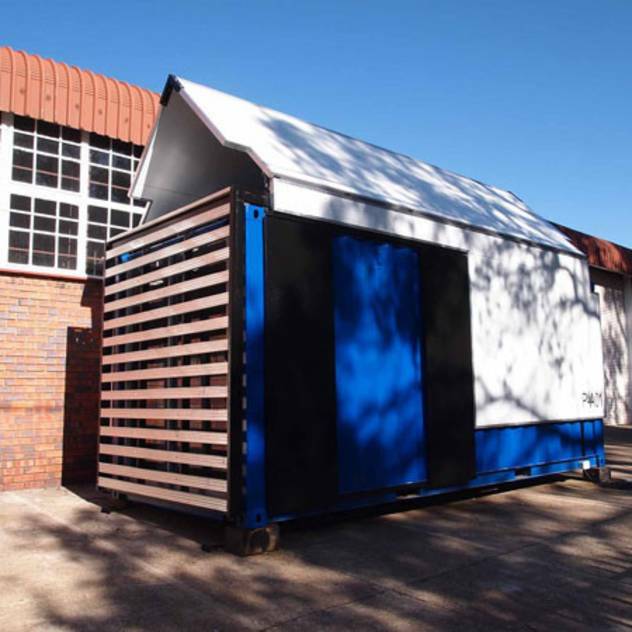 This prefab, however, has striking written all over it, its geometric lines and brilliant colour add a character to the design. 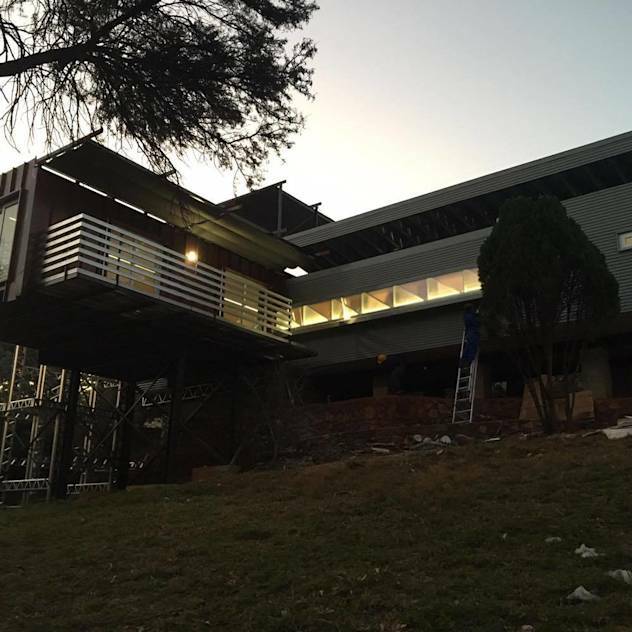 A modern home in the woods is a universal means to enjoy for a natural environment and crisp fresh air. 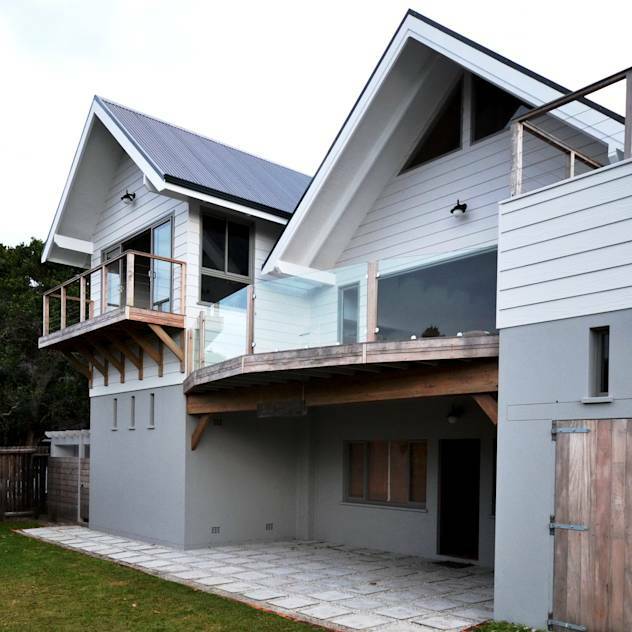 This contemporary home has a double storey space… perfect for a family. While the exterior has brilliant wooden rustic features for an authentic effect. The modern house featured here has been built into a slope, allowing for unbelievable views of the horizon and a welcoming atmosphere. 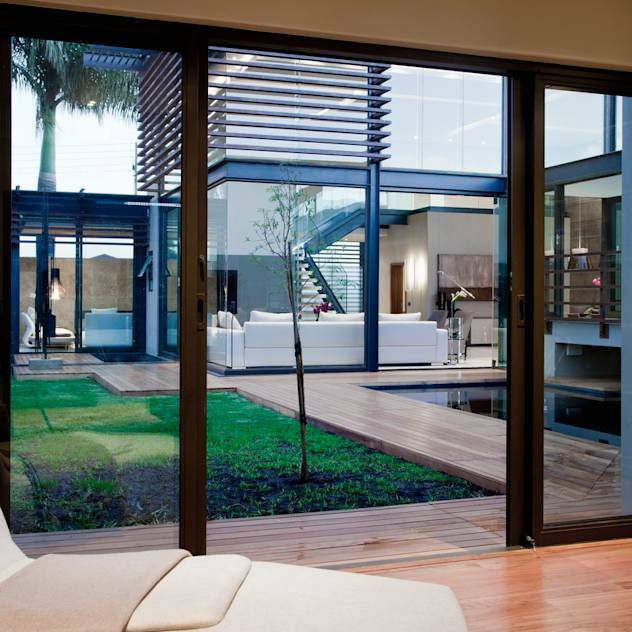 Glass doors for the entrance will fill a home with natural lighting, fresh air and a friendly environment. 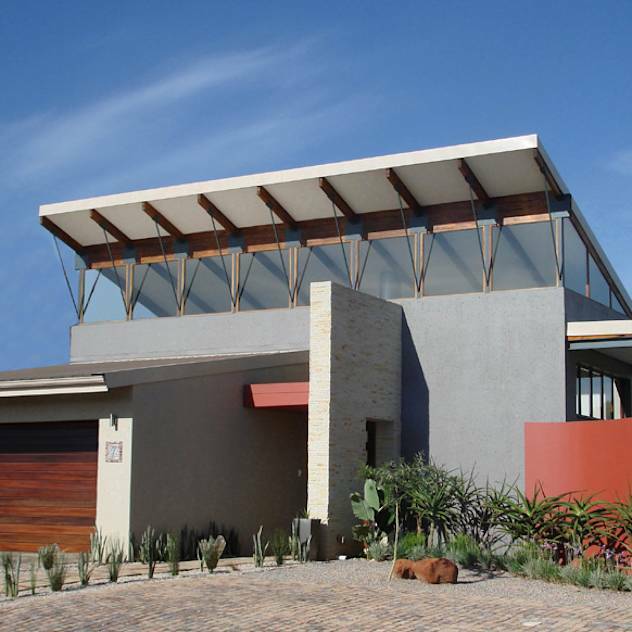 The last home we visit is made up of volume of glass, beams and frames, which allow for views of the exterior to be enjoyed from all angles and maintaining a sunkissed appearance, warm ambiance at any time of the day. Prev8 kitchen bar ideas that are easy to copy!